Rowena Macqueen is the perfect example of how you don’t have to go to university to succeed in life. Now 20, Rowena is on the Superyacht Cadetship at UKSA and training for a career working within the burgeoning and lucrative superyacht industry. 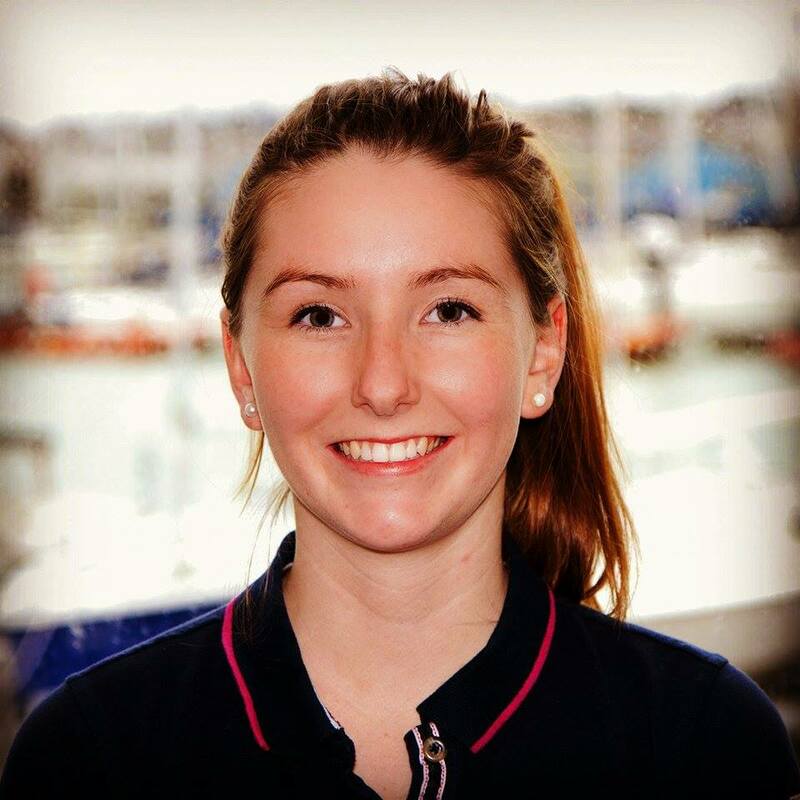 Rowena grew up in St Andrews, Scotland and has always sailed and been interested in the sea, but initially thought of it as a hobby and went into environmental science as a career option. However she got her watersports instructor qualifications and worked seasons at Loch Insh Watersports, in Montenegro and one at UKSA in Cowes teaching dinghy sailing, keelboating and windsurfing. Meanwhile, her university course was proving dull and uninspiring. She said: “It sounded like there would be a lot of interesting fieldwork and working outdoors but I was not motivated, it was dull really. I stuck it out for as long as I could but my low grades reflected my feelings about my course at university. My parents were very supportive and started looking for other options for me and I instantly liked the sound of the Superyacht Cadetship when I discovered it. One of the only drawbacks that first stood out was the cost of the course. However built into the cadetship are two phases of work experience in the industry where you can not only gain valuable experience but earn an average of £2000 a month with no living expenses or tax. This makes it very easy to pay back the course fees and also ensures that once completing the course you will not be faced with a backlog of debt, as with a university degree. I am very grateful that I have the opportunity to earn decent money at a young age in a growing industry with a progressive career path. “One of the things that really sold it to me was the fact you can do a foundation degree in Operational Yacht Science as part of the course. I would still get my degree. I was also won over by the mentoring scheme, the guidance and the nice and personal touches you get at UKSA, as I didn’t feel you got that at uni where there were so many students. All the instructors I have come into contact with at UKSA have been excellent, they push you to do your best and I always learn a lot from their constant feedback.